It was an intimate evening of folk fuelled beauty at Hannah Cameron’s, ‘I Lay Where You Lie’ album launch last week. 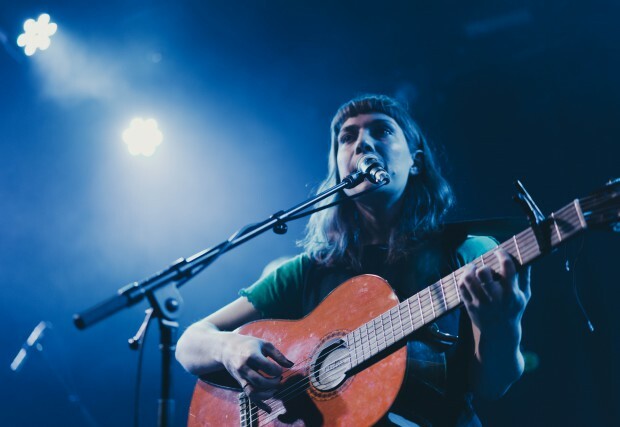 Following a hearty bar dinner, the set kicked off with the sweet tones of Melbourne based singer/songwriter Leah senior, who had no problem in silencing her humble audience within seconds with her indie rooted sounds. Singing themes of nature and love, Senior’s vocals caressed and flowed as the crowds amassed. Decorated with the accompaniment of her sister, Andi Senior on backing vocals and Jesse Williams on keys and guitar, Leah gave a hauntingly exquisite opening set, gifting great promise for what was to come. Next to take to the stage was Luke Brennan and his band who picked up the pace a little with their alt-country rock love songs. Scattered with soulful, western tones and refined with Brennan’s honest and warm vocals, it was a set of uncut emotion, gripping the growing audience as they continued to accrue. After a beautiful two opening sets, Hannah Cameron entered onto the stage, accompanied with her five band members. Beginning with a single from 2017, ‘No Pen of Mine’, Cameron caressed the crowd with classic folk melodies, while a warm sax solo added beauty and charm. Her second song was introduced with a haunting fragment from keys, adding depth to intricate fingerpicking and dreamy vocals. By this stage everyone in the audience was engulfed in awe of Cameron’s astounding ability. As the set progressed, Cameron’s ensemble entered into tones of slightly more folk rock, entailed with smooth key changes, drifting from rocky minors to haunting melodies. The subtle decoration of sax and keys (and not to mention the edition dry ice) added a picturesque, film like notion the whole set through. Cameron then said a brief goodbye to her band and was solo with just her guitar as she performed ‘Just Leave Me Here’, sending goose-bumps through the entire venue. It was with great joy and surprise that Cameron brought to the stage Luke Brennan and Leah Senior to begin wrapping up the evening, with a sweet cover of Crosby, Stills and Nash’s ‘Helplessly Hoping’. I would recommend to anyone who sees the name Hannah Cameron around town to do all they can to make it to a show, even if Folk isn’t your usual forte. It was a sophisticated ensemble of sound and a stunning night of folk and story telling and I can’t wait to see where Hannah takes her music next.